I like the developing relationship between the main characters. In this series only a few months have gone by since they met and were put into what was basically an arranged marriage. They are still learning about each other and how to live together. Charles has been an assassin for his father for over a hundred years. He is good at his job so everyone is scared of him. It is an interesting dynamic to pair him with a woman who met him when he saved her so she isn’t intimidated by him. She is trying to be his kinder, gentler side to the public. Anna is also tough though. She is the Omega part of this series. That means that she is able to step outside werewolf pack dominance fights and calm other wolves. That gives her the perspective to tell when everyone is acting stupid and then bang their heads together to get them to act right. 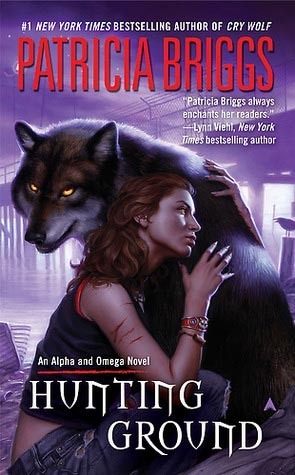 Both the Mercy Thompson series and this series have been focused on the lives of the werewolves in the western U.S. It was nice to see the author’s take on the European wolves and the different struggles they have. I’ve come to the realization that one of the reasons I like these books is that they remind me of my husband and myself. He’s paranoid and hyperaware from his military time and I pet him on the head and say, “Isn’t that sweet” and then tell him to knock it off and act right. I’ve even been known to growl at him but that’s because I spend most of my time interacting with dogs and some things rub off. I think it would be interesting to read this series mixed with the Mercy Thompson because they are happening at the same time and give different perspectives on the same events.